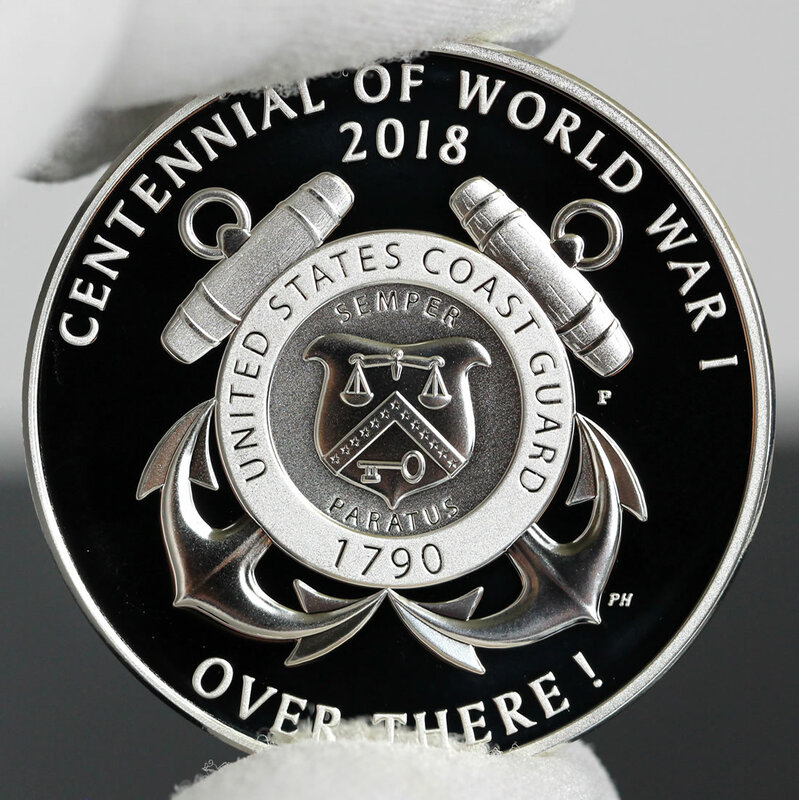 This article shows photos of a World War I Centennial 2018 Coast Guard Silver Medal — one of the five United States Mint medals commemorating the branches of the U.S. Armed Forces that were active during the First World War. 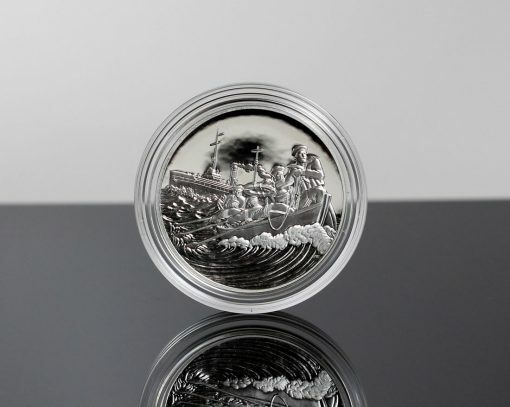 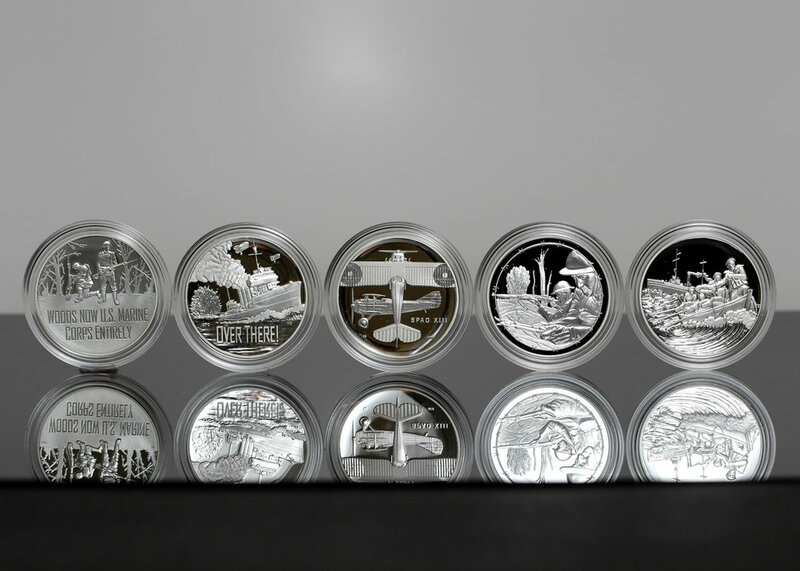 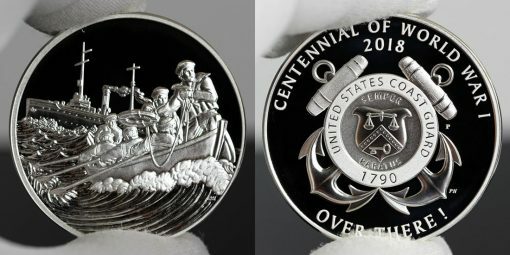 On Jan. 17, the United States Mint released proof silver medals with designs honoring the U.S. Coast Guard, the Army, the Navy, the Air Service, and the Marines. 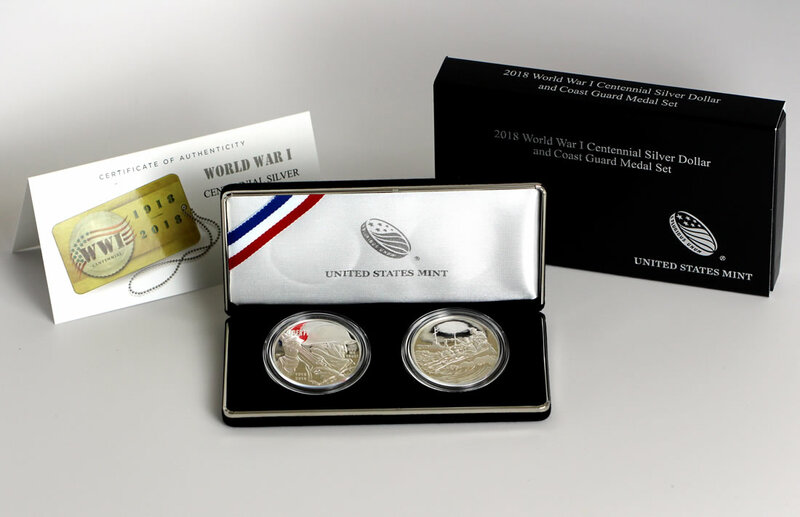 Conceived by the U.S. Mint to help support the World War I Centennial Silver Dollar Commemorative Coin Program, Public Law 113-212, each medal was paired with a proof WWI dollar and sold as a unique set for $99.95. As an aside, two WWI Silver dollars are available individually until Dec, 27 at 11:59 PM ET with a proof for $56.95 and an uncirculated for $53.95. Returning to the medals, those wanting each one had to buy five sets. 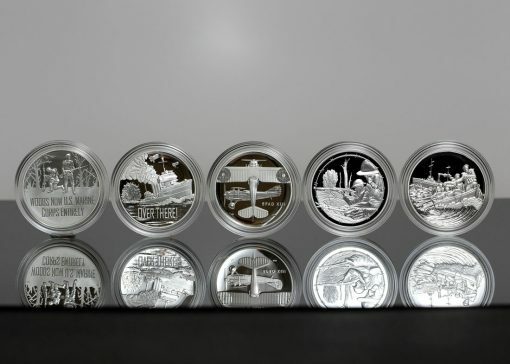 The sets originally had an order deadline of Feb. 20 but their sales reopened July 31 until recently becoming unavailable. 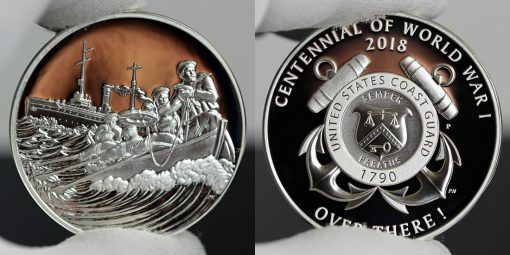 The set containing the Army medal was the most popular with last reported sales at 15,621; followed by sets with the Marines medal at 12,648; the Air Service medal at 12,520; the Navy medal at 12,253; and the Coast Guard medal at 9,813. 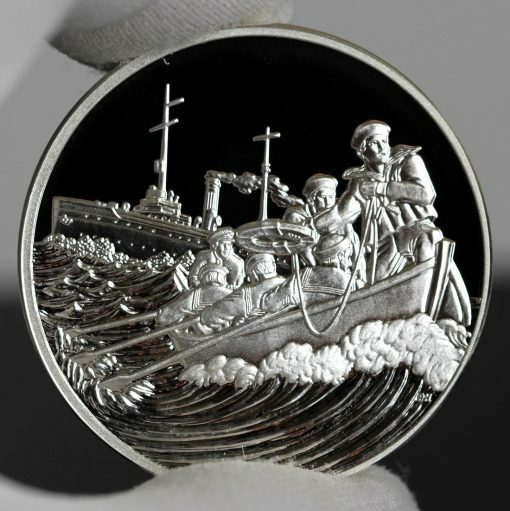 Coast Guard silver medal obverses (heads side) depict a lifeboat from the Coast Guard Cutter USCGC Seneca heading out in heavy seas toward the torpedoed steamship Wellington. Phebe Hemphill designed and sculpted the image. 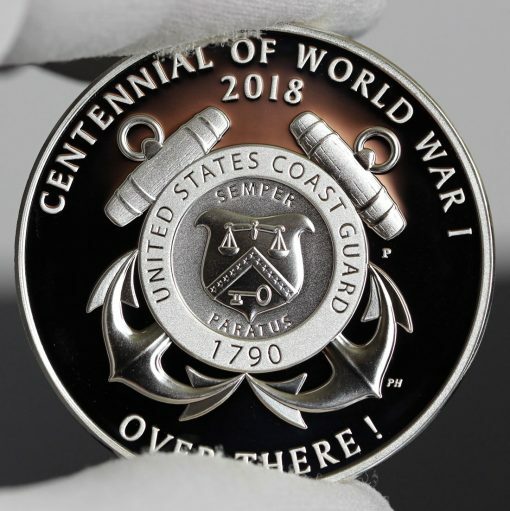 Also sculpted by Hemphill, reverses features the World War I-era Coast Guard emblem, with the inscriptions CENTENNIAL OF WORLD WAR I, 2018, and OVER THERE! 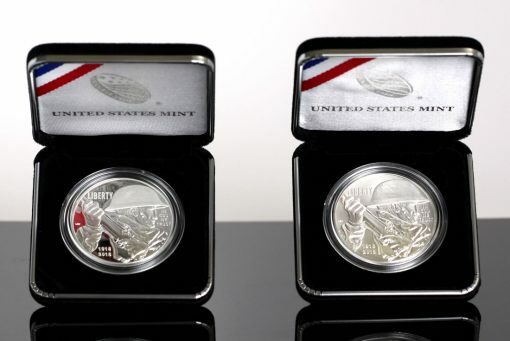 Produced at the Philadelphia Mint, the reverse also has a "P" mint mark. 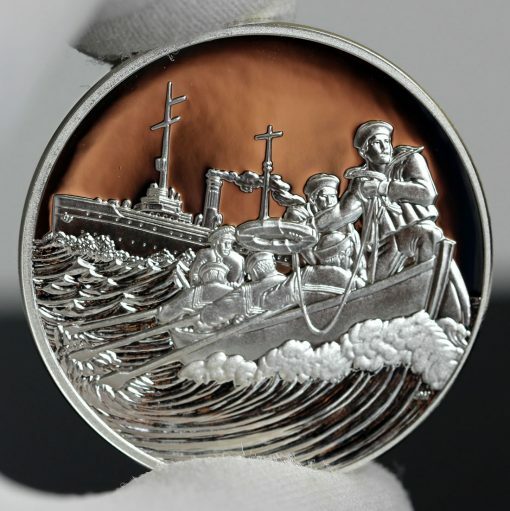 Major specifications of the silver dollars and silver medals are the same to include a composition of 90% silver and 10% copper, a weight of 26.730 grams, and a diameter of 1.500 inches. In a difference, the dollars have a reeded edge while edges of the medals are plain. 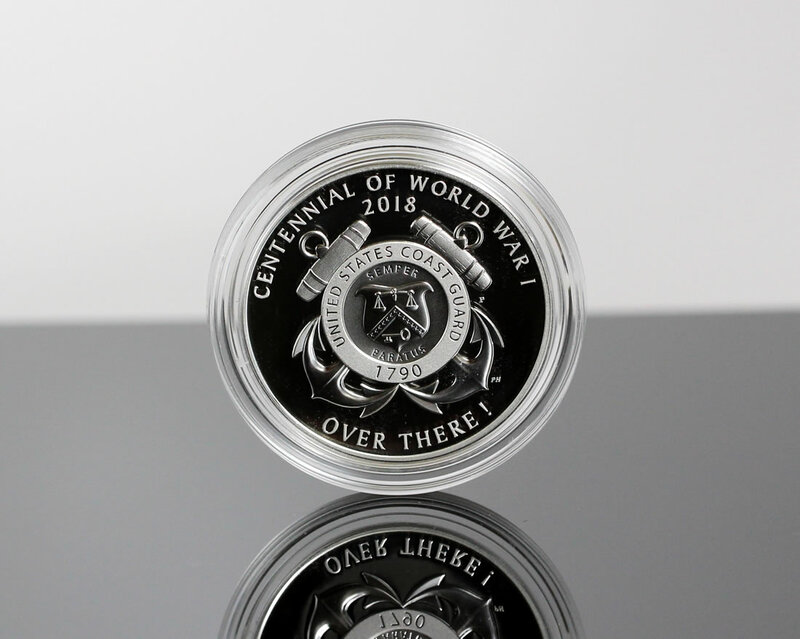 Get the World War I Centennial Silver Dollars from the U.S. Mint’s commemorate online store right here. Below are a few more photos of World War I Centennial 2018 Coast Guard Silver Medals.